Formula One resorted to the Drag Reduction System in 2011 in order to facilitate more passes per race. Personally, I’m not a fan of the system, as it feels like an artificial advantage to the following car. While it has demonstrably increased passing, it allows racers to work up to within one second of the car ahead and then nonchalantly saunter past on the straights, where passing used to be done maniacally and haphazardly under braking into the tighter corners. There was less passing being done in 2009 and prior, but it felt like those positions were harder fought and better earned. Perhaps because it was a battle with attack, defend, thrust, and parry. I’m an old fuddy duddy when it comes to F1, it would seem, but DRS looks cheap and incongruous with the so-called pinnacle of motorsport. 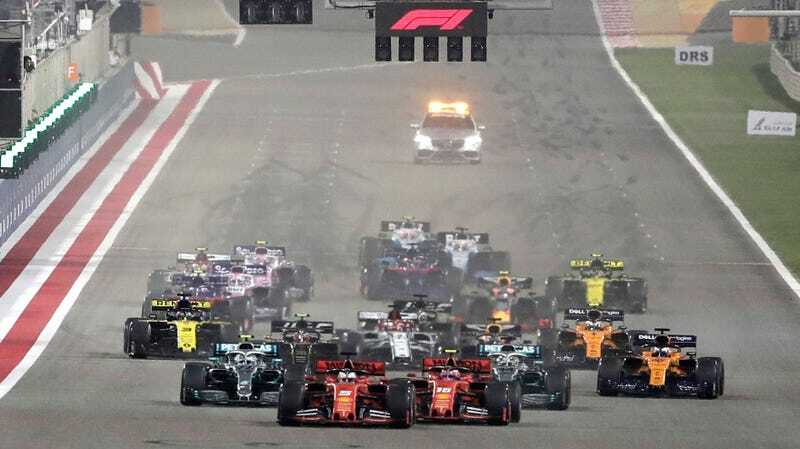 With new aero regulations set to come into play, the hope is that cars will be allowed to race closer to each other, which should increase passing opportunities under braking, which is the kind of passing I really want to see. While MootrosMootrosCowie is making a point by being over the top, a tactic known as hyperbole. Obviously F1 races will now feature as many as four passes per race. Exciting stuff! Congrats on your COTD victory MMC.